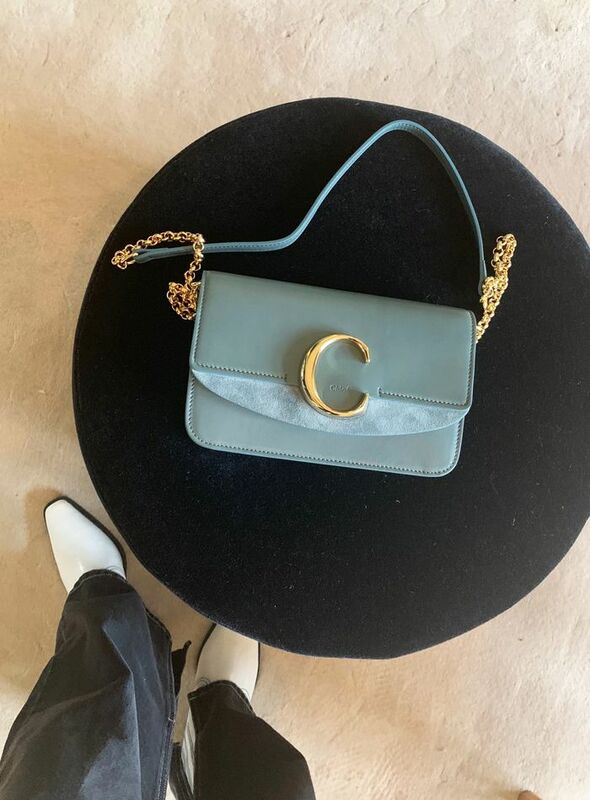 Chloé has a habit of creating cult handbags. It all started in 2005 with the slouchy Paddington featuring a gold padlock. In fact, you could say that the epic waiting list it caused was one of the triggering factors behind It bags even becoming a thing in the first place. Thirteen years later, the accessories department at the French fashion house is still sending shoppers into a spin, and this season there's another new handbag that shoppers are clambering to get their hands on: the Chloé. The shoulder bag is really elegant, as it has a wide leather strap, delicate C logo on the clasp and comes in beautiful colours, such as dusty blue and rich chocolate. This is a bag destined for cult status. Elizabeth von der Goltz, global buying director at Net-a-Porter, said in her 2019 trends presentation: "Chloé’s Chloé Bag we have backed with around 20 options for both cruise and runway totalling to around 3000 units and making up 80% of our total Chloé bag buy." Keep scrolling to see—and shop—the new handbag. Keep scrolling to see more iconic handbags from the fashion house. 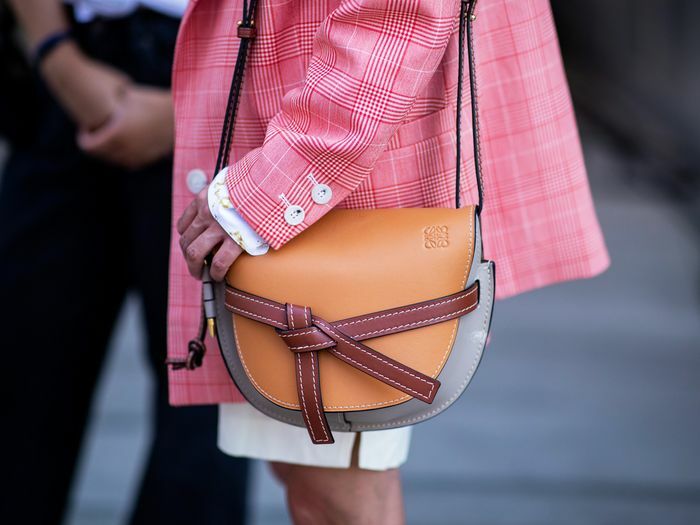 Style Notes: Saddlebags are a key trend this winter, and the Chloé Tess bag took centre stage. The style comes in small and large, plus several highly covetable colourways. Style Notes: The bag that is causing the most buzz with fashion buyers from Natacha Ramsay-Levi's debut collection with Chloé was the updated Drew Bijou bag. Style Notes: The Pixie bag was introduced in the A/W 17 collection, and the circular suede bag was a street style hit at Paris Fashion Week in September. Style Notes: Chloé is the reason so many bags at the moment feature a gold circle handle or detailing, and the Nile was one of the key It bags of 2017, spotted on the likes of Eva Chen, Aimee Song and Solange Knowles. Style Notes: The '70s-inspired Faye bag with a circle clasp and chain detailing first showed in the house's S/S 15 show, and it since has been worn by every blogger we can think of. Years later, we're still obsessed. It's still worth investing in a Faye, as they've become a true classic. Style Notes: The Drew handbag is also a street style favourite, and it has an elegant round silhouette with a gold chain strap and clasp. Olivia Palermo has the two-tone yellow-and-rose style, while if you're after a more classic, long-lasting option, we recommend the black or tan versions. Style Notes: The backpack spin of the Faye bag has been just as popular as the original, and it always sells out as soon as it becomes available. Style Notes: You most likely spotted the horse-embroidered beauty on the streets at fashion week, but Roy isn't just a one-trick pony. The bucket bag everyone is carrying also comes in a python print and a variety of hues from oxblood to tan. We've got a feeling we're going to be friends with Roy for life. Next up, it's time to discover the new spring/summer 2019 trends you need to know about now.